I just love delving into other people's wardrobes, and today I have an excellent guest post by the super stylish Lara from Adventures of a Mum. 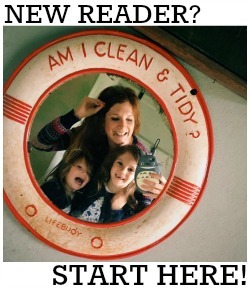 Lara is a new blogger on the block and also a brand spanking new Mama! Henry James was born two weeks ago and he is just scrumptious. You can read all about his birth story here. 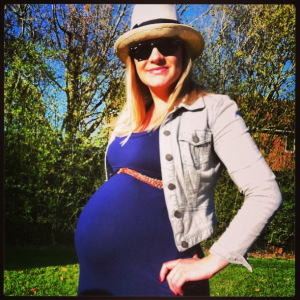 Today, Lara shares some fantastic maternity wardrobe tips with you all, and also gives her top ten maternity essentials. Pregnancy is, from my point of view, a time where you are not yourself. Your body changes in ways you’ve never experienced and you don’t feel in control of what you look like – so you need to feel good in what you’re wearing. If going shopping helps you feel good about your appearance then surely you can’t deny yourself?! Plus, 7-9 months is a long time (when you factor in the weeks after you give birth if you’re not one of the lucky ones to snap back into your pre-preg clothes) and you wouldn’t go 9 months without shopping normally, so why stop now?! Whether you are of the same opinion as me or not, your body shape is going to change considerably and you will need at least a few essentials to grow with your changing figure so here’s my top 10 list of clothes to get you through this exciting time. Just to note, I found a lot more choice and options online and the selections would be updated a lot more often than in store. I also had a work wardrobe to buy for, so depending on your needs your list may differ from the below. I have also been pregnant mainly over the winter months so I didn’t stock up on summer clothes, although now it seems like it’s just around the corner I would definitely be stocking up on Maxi dresses and mid length jersey skirts to team with vest tops and cut off denim jackets or a leather jacket for cooler days. A few pairs of good quality jeans - key for so many occasions. I found some great choices from Topshop in a good selection of colours. Dress them up or down depending on what you’re doing, a pair of heels instantly uplifted me if I were going out for dinner or with the girls for a lemonade whereas a pair of pumps or Converse are perfect if you are heading out shopping or for lunch. The waistbands vary on maternity jeans; either over or under the bump. H&M do a good selection which go over bump which I found lasted a little longer than the thicker bands which go under. They also do lots of different colours. Long vest tops – wear these underneath shorter tops so that you can get away with non maternity options in a larger size to normal to stretch your old wardrobe as long as possible. Towards the end of your pregnancy your bump will get so big that even maternity tops don’t seem to completely cover your bump and they save having any flesh on show. A sheer shirt – I bought several with lots of different patterns and colours which I teamed with different colour skinny jeans or tube skirt for work. These don’t even need to be maternity while you’re in the earlier months of pregnancy – some I didn’t grow out of until around 7 and a half months due to their baggy style. Wrap dress – while the crossover style grows with your shape and shows off your waistline the v neck makes the most of your growing bust line. I bought several dresses as I wore one each day for work, but if you don’t need them for the office they are great when you have a night out planned or an event. I actually found these more comfortable than trousers and went mainly for long-sleeved as I had a real complex about my arms! If you only wanted to buy one or 2 you can change the overall look each time you wear it with what you pair it with – a cardigan one day to dress it down, blazer the next for a meeting, or simply accessorise with a scarf or chunky necklace. Isabella Oliver have some beautiful choices in great materials which really keep their shape. A smart and a casual blazer – these will go with just about anything and I’m a massive fan of this particular piece; dress up an outfit with a smart choice or go with a jersey blazer to give a casual outfit effortless style. Coloured blazers are great too if you have just the one pair of dark denim jeans to give your outfit a splash of colour. I like the fit of the Zara ones, however even Primark do a large selection! The best part is you can wear these when you’re no longer pregnant so don’t hold back! T shirts and long sleeved cotton tops – Any material which is stretchy will show off your bump without drowning your figure and look great with a pair of jeans. Stripes, which are usually tricky to pull off if you don’t want to accentuate your lumps and bumps, are a great print for summer too. H&M or New Look have some really good budget options. A long cardigan – elongate your body with the length – great if you’re feeling a bit frumpy at the moment with your current shape and it will go with so many of your outfits. An LBD - Pregnant or not, the staple little black dress is a wardrobe essential! Perfect for me for those black tie events and festive parties. Seraphine or Tiffany Rose have some nice choices. A pair of black trousers – I didn’t actually ever get around to wearing these myself but they are great if you want to wear them to work with a shirt or cotton top. For staples such as these I found Mothercare had some good options. I’ve never really been one for wearing leggings outside of the house; but on days where I have wanted to (and taken the opportunity to!) slob around, a pair of leggings are just so comfortable to wear. If you want to wear them out and about you can dress them up with a pair of flat riding or patent boots with a long cardigan and figure hugging top – show off that bump! Remember, tight clothes whilst pregnant can actually make you look slimmer than baggy clothes. It was a fun adventure trying out new styles and brands during my pregnancy, so I hope you find your own style and enjoy the precious times that pregnancy brings. Kate Middleton spotted wearing Seraphine! I've been nominated as a Top London Blogger! The Gro Clock -- A Review and Giveaway! My Weekend at BritMums Live! Baggers Originals Giveaway - The Winner! We're Going to Camp Bestival! Baggers Originals - A Giveaway! Formal Maternity Wear - To Buy or Not To Buy? What I'm Wearing to BritMums Live!